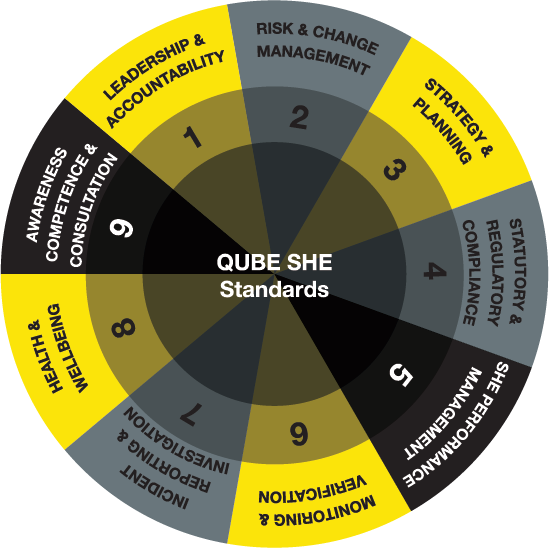 At Qube, we are committed to constantly challenging our health and safety performance so that it aligns with our commitment to Zero Harm, and remains effective across the sectors and markets in which Qube operates. To reach this goal we encourage healthy living, promote strong community connections, and manage risks to all stakeholders internally and externally. We are continuously improving our performance to live up to our Safety, Health and Environment (SHE) standards. This requires the concerted effort of a strong SHE community working together, developing functional excellence, and sharing resources and best practices. As part of our commitment to Zero Harm, Qube works to identify opportunities for a safer work environment for our employees. Zero Harm reflects our belief in a workplace where risks are managed and the work does not impact on our people’s health and well-being. The key focus areas of Zero Harm are: People; Community; Customers; Environment; and Plant and Equipment. Qube is proud to be a Platinum Member of the National Safety Council of Australia (NSCA). At Qube, our goal is to shape communities that thrive now and in the future. To reach this goal, we encourage healthy living, promote strong community connections, and provide access to lifelong educational opportunities. Qube partners nationally with The Clontarf Foundation, which exists to improve the education, discipline, life skills, self-esteem and employment opportunities for young Aboriginal men. Qube currently supports the program in WA, NSW and Victoria through workplace visits, work experience and employment opportunities.